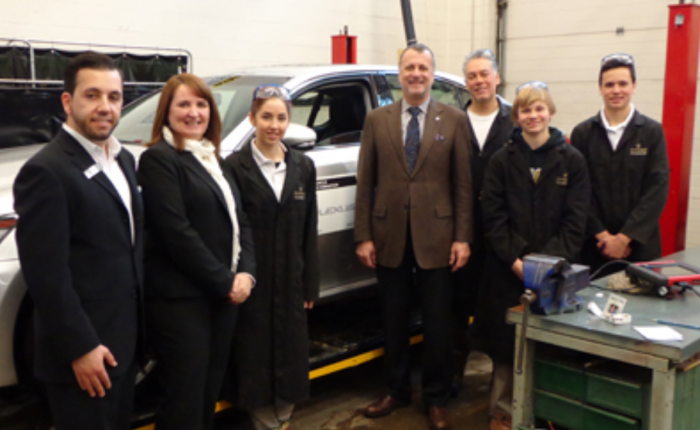 During the month of February, Holy Trinity Catholic Secondary School’s Department of Technological Studies gladly accepted the donation of a new 2014 Hybrid Lexus from Lexus of Oakville. The donation from Lexus of Canada was initiated by Frank Apa, President of Lexus of Oakville after he commended a former Holy Trinity Catholic Secondary student for his excellent work ethic and attitude, while working at Frank’s dealership. The 2014 model will be used for experiential learning with Mr. Monson’s Transportation classes. Students will be able to do mock diagnoses and repairs to the new car, including brake, exhaust, suspension inspections and replacements. 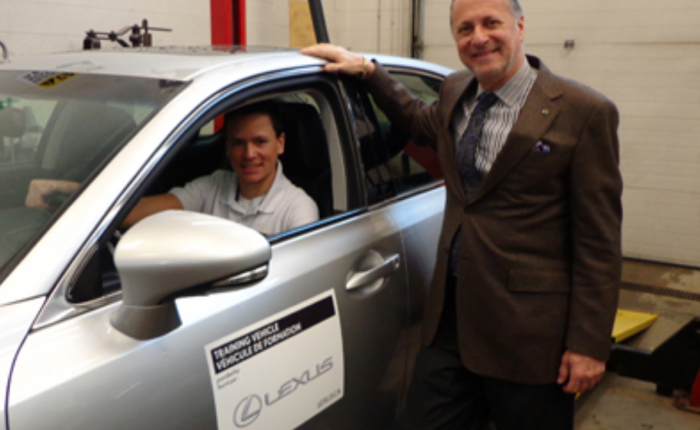 Special thanks to Frank Apa and Lexus of Canada for the generous donation! 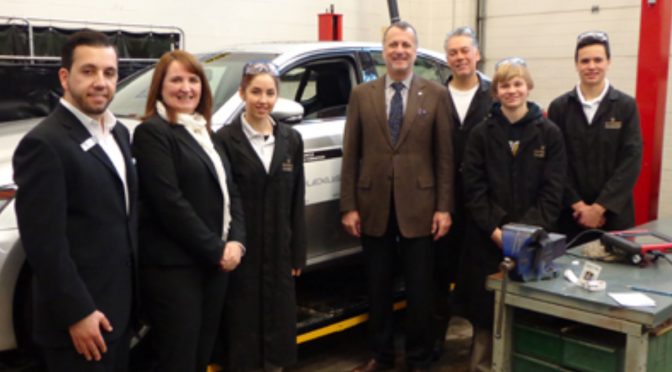 For more information, read the Metroland News article online: Holy Trinity Secondary School gets gift of learning from Lexus of Oakville.